DuPont and Jilin Province New Tianlong Industry Co. Ltd. have announced a licensing agreement to begin the development of China's largest cellulosic ethanol manufacturing plant, located in Siping City, Jilin Province, China. In early July, the U.S. EPA released renewable identification number (RIN) sales data aggregated by renewable fuel standard (RFS) party type for the first time. The EPA said the data will increase transparency in the RIN market. On July 14, the D.C. Circuit Court of Appeals threw out a lawsuit filed by the Energy Future Coalition and other groups against the U.S. EPA regarding the agency's failure to use E30 as a test fuel in a recent rulemaking. The U.S. Department of Energy's Bioenergy Technology’s Office (BETO) has announced plans to hold a workshop focused on the challenges associated with the coproduction of biomass-derived chemicals, products and biofuels. The Agricultural and Fisheries Council of the European Union has officially adopted the new rules to address indirect land use change (ILUC) impacts associated with biofuels. The directive was accepted by the European Parliament in late April. The U.S. Department of Energy's Office of Energy Efficiency and Renewable Energy is soliciting nominations for candidates to fill vacancies on the Biomass Research and Development Technical Advisory Committee. Nominations are due Aug. 14. Ceres Inc. has released financial results for its fiscal third quarter, reporting the company is continuing to realign its focus towards food and forage opportunities and biotechnology traits, rather than bioenergy markets. 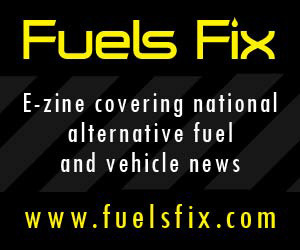 The Auto Channel has launched the Ethanol Chronicles. A long-time champion for ethanol, copublisher Marc Rauch describes the blog as "lively, spirited and sometimes humorous repartee concerning energy issues." When Ethanol Producer Magazine asked for nominations of rock star operators, the name of an industry veteran of almost two decades rose to the top. This story appears in the August issue of EPM. The man who led the effort to form ACE was 67 years old when he took on the project. Today, the organization is still fighting for farmers and all people of the ethanol industry. This article appears in the August issue of EPM. USDA Rural Development's Rural Business-Cooperative Service (RBS) has scheduled a July 16 forum to introduce the new Biorefinery, Renewable Chemicals, and Biobased Product Manufacturing Assistance Program. About 2,000 people gathered in Minneapolis June 1-4 for the annual International Fuel Ethanol Workshop & Expo. This story appears in the August issue of EPM. The U.S. EPA is recognizing green chemistry technologies developed by industrial pioneers and leading scientists that turn climate risk and other environmental problems into business opportunities, spurring innovation and economic development. Kristi Moriarty, the principle author of a recent government report examining the compatibility of existing fuel station infrastructure for E15 will speak during the American Coalition for Ethanol’s Conference Aug. 20 in Omaha, Nebraska. Syngenta has announced an agreement with Chief Agri/Industrial Division to provide Enogen corn growers rebates on grain bins and other equipment. Stiffened bins from Chief Agri/Industrial Division are available in sizes ideal for use on farms. The Nebraska Corn Board and Nebraska Corn Growers Association are issuing an urgent call to action to Nebraska farmers to once again get vocal about recent action by the U.S. EPA that would reduce the nation's commitment to renewable fuels. MIT researchers have found a way to make yeast produce more ethanol from sugars: Spike the mixture they’re growing on with two common chemicals. Adding potassium and an acidity-reducing compound helps the yeast tolerate higher ethanol concentrations. Researchers from across the world, including from Virginia Tech, plan to mimic the chemistry of the brown rot fungus to improve biorefining processes. The $4 million project is funded by the Research Council of Norway and industrial partners. More than 300 corn farmers and ethanol industry leaders joined members of Congress on Capitol Hill July 15 at a rally calling attention to the renewable fuel standard (RFS) and sending a message to the U.S. EPA not to mess with the RFS. Deinove recently announced that it has reached the third and penultimate milestone of its Deinol project supported by Bpifrance. Achievement of this milestone triggers grant funding of up to EUR 1.2 million ($1.31 million). On July 13, the Global Renewable Fuels Alliance welcomed UNICA, the Brazilian Sugarcane Industry Association, as its newest member. UNICA is the largest organization in Brazil representing sugar, ethanol and bioelectricity producers. ArcelorMittal, LanzaTech and Primetals Technologies have entered into a letter of intent to construct Europe's first-ever commercial scale production facility to create bioethanol from waste gases produced during the steelmaking process.